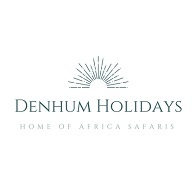 All Denhum Holidays tours, river cruises, expedition cruises, and adventure trips. Find the best guided trips and expert planned vacation and holiday packages. Average rating of 5.0 for all Denhum Holidays trips. Visit to Kenya’s fabulous parks which includes: Tsavo East, West National Parks, Amboseli, Lake Nakuru and Masai Mara National reserve. Visit the Great Rift Valley with its climax at Lake Nakuru National Park, view of Mt. Kilimanjaro from your lodge/camp while at Amboseli. Seek an opportunity to see the Animals during game drives includes: Elephants Lions, Rhinos, Leopard, Buffalos, Cheetah, Giraffes, Zebras and different types of gazelles.